BACC representatives met “Hella Lithuania” director and purchasing manager to discuss opportunities for cooperation between companies. 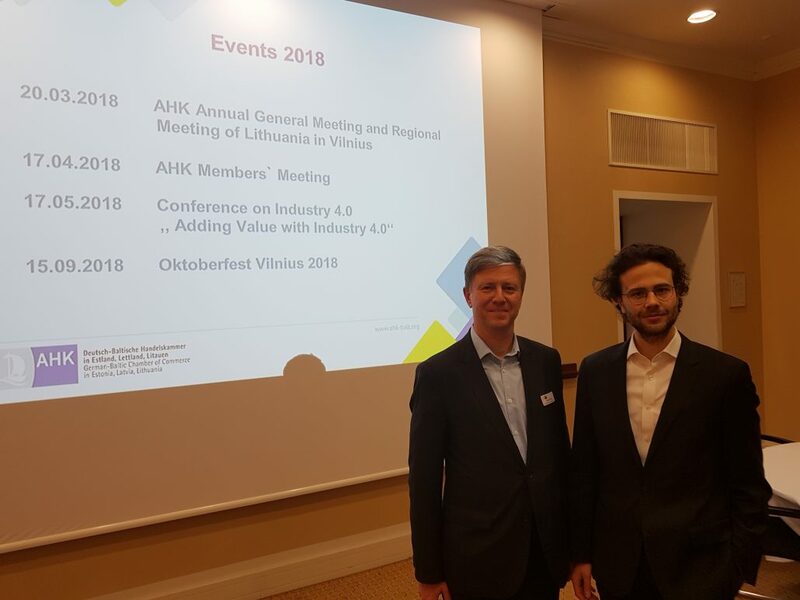 HELLA, the world’s first giant in the automotive industry in Lithuania, attended the AHK Business Lunch. BACC representatives met HELLA’s head in Lithuania Mr. Michael Jarecki and vice president Dr. Martin Meggle. During the meeting the following topics were discussed: Electronic business; new trends in the automotive industry; autonomous driving, electrification and personalization. BACC director Darius Lasionis and HELLA director Michael Jarecki spoke about possibilities to effectively develop the supply chain in Lithuania and order the production of certain products, needed for HELLA factory, in Lithuanian enterprises. Michael Jarecki assured that they are already looking for and talking to Lithuanian producers.